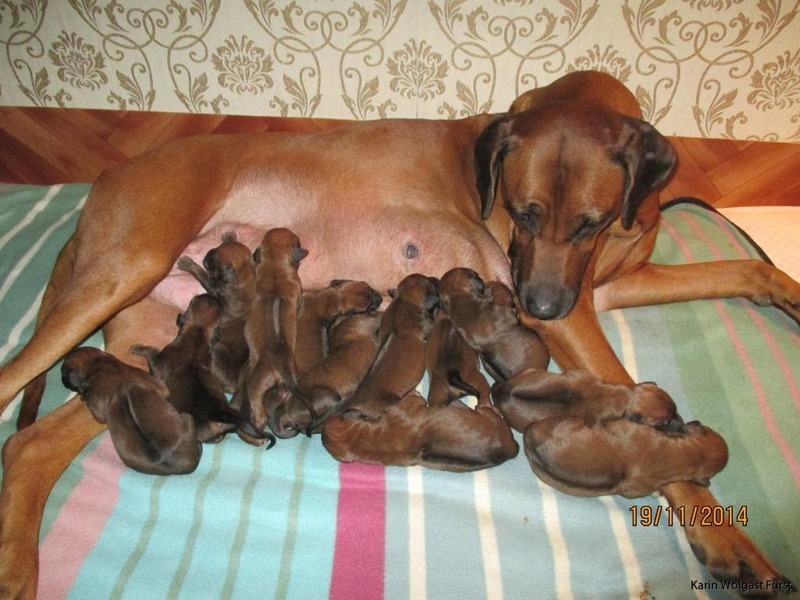 Moa is a grandmother again! Kadamo It's Now or Never "Elvis" sired his first litter with 13 puppies in Russia! 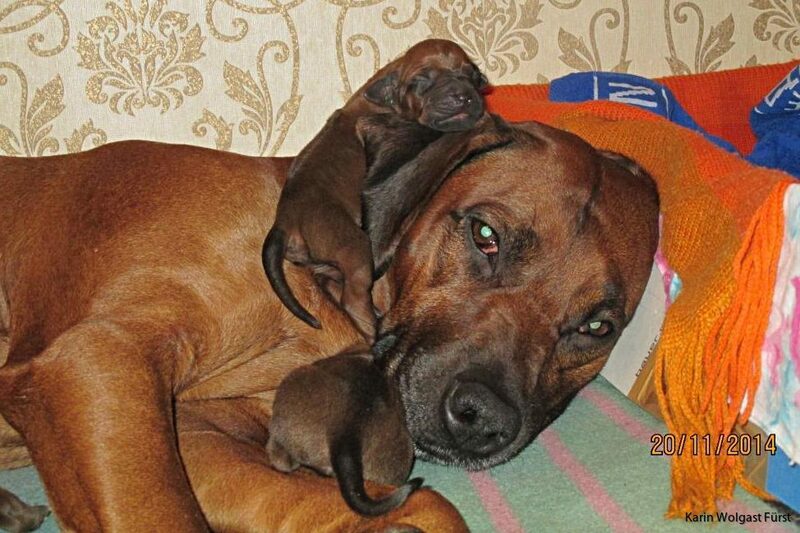 Kadamo It's Now or Never "Elvis" who was exported to Czech as a puppy has now sired his first litter. 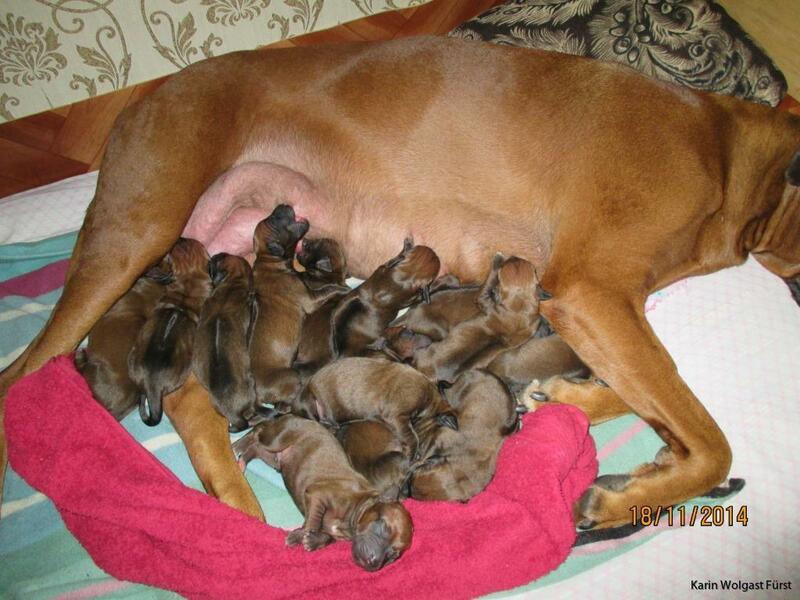 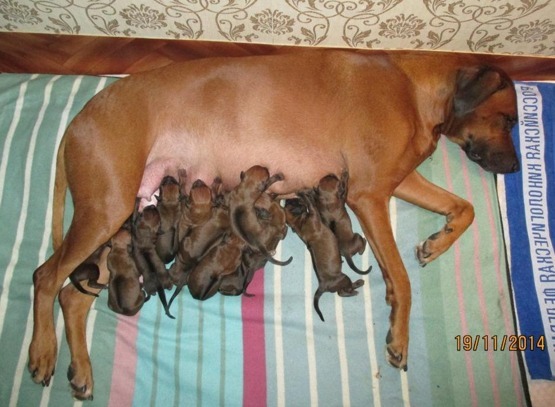 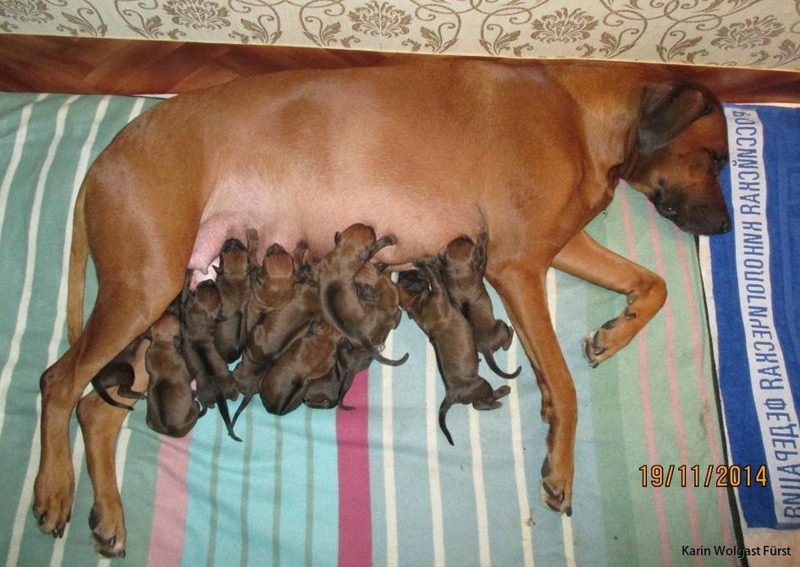 Mother Podarok iz Afriky Lakesha Imani "Lakesha" gave birth to 13 puppies, 8 males and 5 bithches, so far all of them looks correct!!! 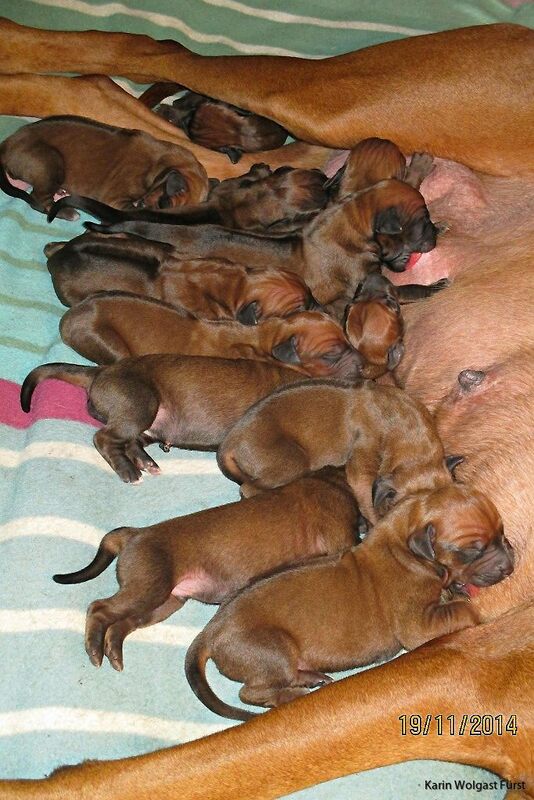 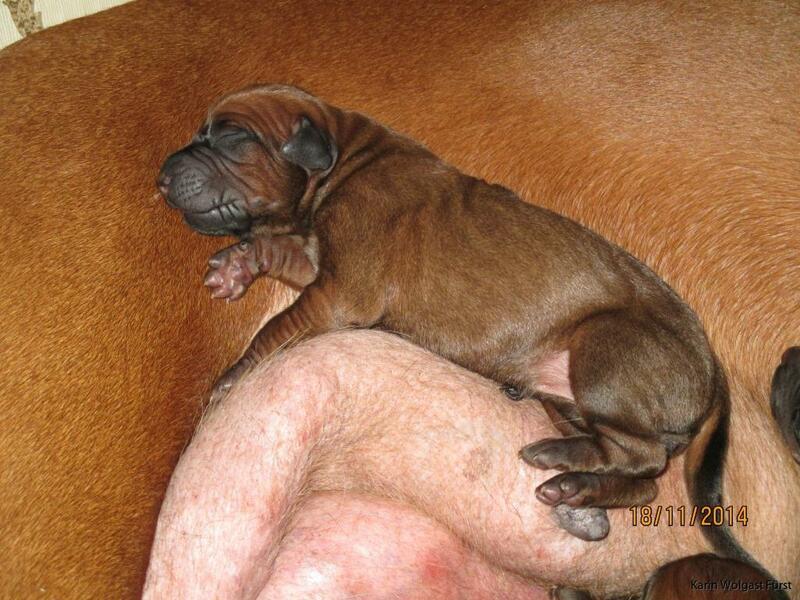 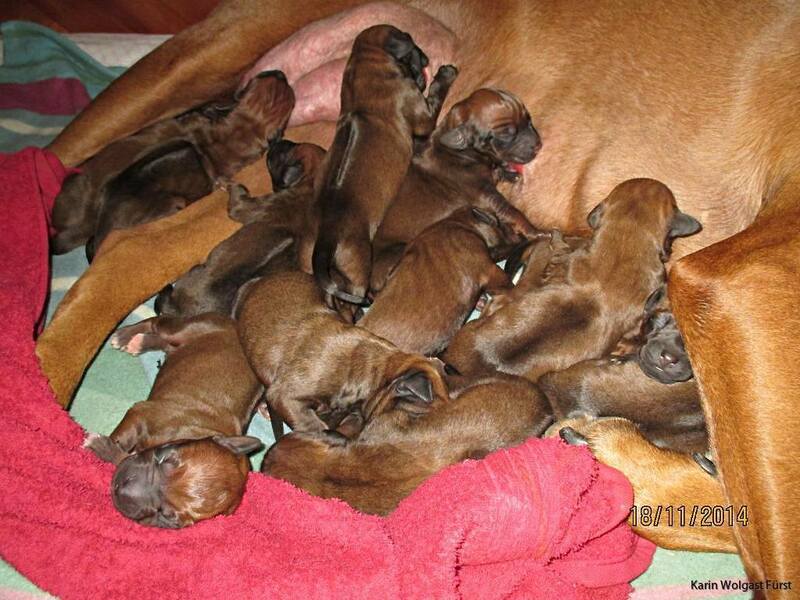 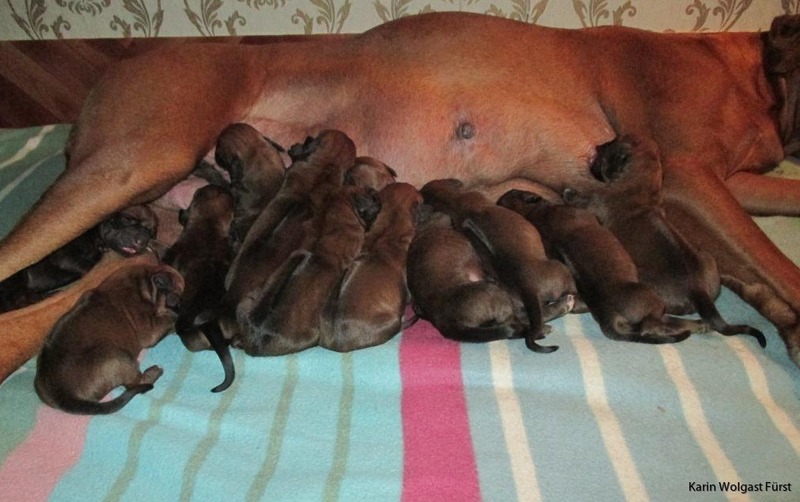 Big congratlations to Sárka and Elena for this wonderful litter.